Everyone experiences colds or coughs at some point in their life. Although these symptoms do not usually indicate anything serious, they are nonetheless uncomfortable and unpleasant. That’s why it’s important to seek appropriate medical care from a Dartmouth, Massachusetts, doctor when you are feeling unwell. 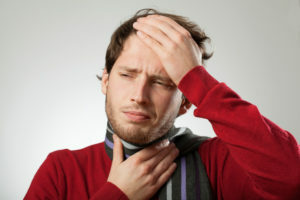 At Prime Medical Associates, we provide our customers with the most comprehensive cold and cough care. We want to help you get back on your feet as soon as possible, so we implement a variety of solutions to help you regain your health fast. Most colds come from a virus, but there are over 200 specific viruses that cause common cold symptoms. These may include congestion, fever, headache, sore throat, and a cough. However, the causes of coughs are a bit more varied. They can come from a cold, the flu, lung problems, or a host of other issues. 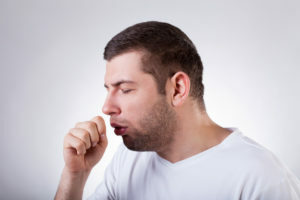 Therefore, if you have a serious cough, it is essential that you visit a local doctor in Dartmouth, Massachusetts. You need to act at the first signs of a cold or cough. First, make sure you get enough rest, eat healthy food, and avoid cold weather, which can weaken your immune system. Taking these steps can help prevent the situation from worsening. However, if you have taken all of these steps and still feel ill, you should consider going to the doctor. At Prime Medical Associates in Dartmouth, Massachusetts, we are happy to treat your cold or cough symptoms. When you come to see us, you know that we will do everything we can to ensure your speedy recovery. That’s why it’s a smart idea to come see us before your cold or cough gets worse. First, a doctor will give you an examination. This will help determine the cause of your cold or cough symptoms. Then, your doctor will provide you with all the different treatment options available. You might be prescribed some medicine or given advice regarding what you should do to get better. Our doctors work with you to ensure we find a treatment plan that works for your situation. We always want to make sure that you are comfortable with your treatment options. When you aren’t feeling well, the last thing you want to do is deal with a doctor’s office that is difficult to reach. Luckily, at Prime Medical Associates, we have staff members waiting to hear from you. Simply give us a call, and we can help you schedule an appointment, provide you with necessary information, or help you with whatever you may need from us. So, when you are suffering from a cold or cough, make sure that you take the necessary steps for recovery. Take good care of yourself, and then give Prime Medical Associates a call. We will take care of your symptoms and ensure you are on your way back to health in no time. We can’t wait to hear from you.